This beautiful boy’s favorite spot is right up on his foster’s work desk where he can get as much attention as he possibly can. He is not typically vocal and only makes a fuss when his foster takes a shower. He will sit and cry until they come back to him. Oakley is dog, cat, and kid friendly and always appreciates a good head scratch. He is constantly purring and needing more attention. Since Secondhand Hounds does not declaw their cats Oakley is not declawed and loves his scratching post. The reasoning for them being against declawing cats is linked at the bottom of each page of an adoptable cat. Oakley has tried to scratch the furniture in his foster home, but a reprimand and redirection has worked well and he rarely makes mistakes. He also is good with using his litter box and has rarely had an issue with counter jumping. Oakley’s adoption fee is set at $130 and he can be found on the Secondhand Hounds website under the adopt tab in the cats for adoption page. 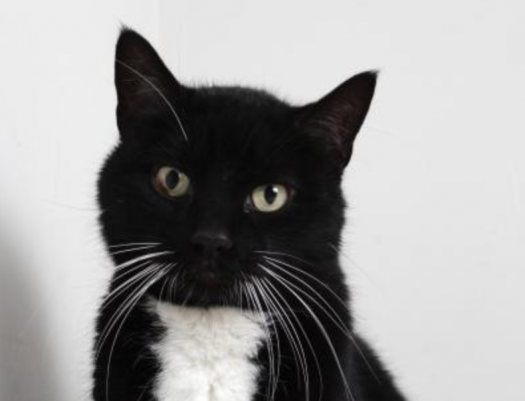 He is a very sweet and loving boy who would like a home with someone who can love him and can handle giving him his medicated food and his medicine for his kidney disease. He has a non-stop purr box and is waiting for someone to take him to his forever family. Content and multimedia content © 2019 The Voice. All rights reserved.